Value Carpet One Floor & Home in Salisbury, MD is your local source for quality flooring. Our showroom only features quality products and brands. Our flooring professionals are trained in all aspects of carpeting, so you can rest assured that we can help you start to finish with your project. Carpet continues to be a popular option among homeowners because of its unmatched style and comfort qualities. Carpets are durable, soft, and stylish and have the ability to transform your space. In our showroom we use a unique system known as the Select-A-Floor® system. This system will help you narrow down your carpet selection based on lifestyle, warranty level, and personal style. Our carpet selection covers a wide range of options like being pet proof, child friendly, resistant to wear caused by traffic, and allergy friendly. We are here to make your carpet buying experience a good one. Installing carpet in your home comes with several different benefits. Our stain resistant carpets make life easier in your home, and protect themselves from accidental spills and messes caused by pets or children. Carpet is a great choice if there are family members in the home who suffer from allergies. The fibers of the carpet can trap dust and dirt on the surface so it does not reach the breathing-zone and can be easily vacuumed up. We also carry our own exclusive carpets that feature H2O™ technology that makes them entirely waterproof. Carpet is made out of different types of fibers, and those fibers can impact how a carpet can perform in your home. Synthetic carpet fibers include nylon, polyester, triexta, and olefin. Wool carpets have their own special benefits like being sound absorbing and having hypoallergenic qualities. Piles are the fibers twisted up, which plays a role in the styling of the carpet. There are cut piles, loop piles, and even cut and loop piles. Carpet is traditionally installed in bedrooms and living rooms. They can handle a lot more activity though and can be installed in children’s playrooms, on staircases, and in hallways. Carpets are made to be lived on and can handle most things thrown their way. The most important thing to do to keep your carpets looking fresh is by regularly cleaning them. We offer carpets that are resistant to staining, wear, and fade. Those types of carpets can be installed in heavily trafficked areas like hallways and staircases. 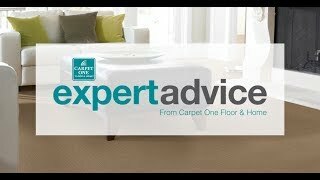 At Value Carpet One Floor & Home we are proud to be your neighborhood experts when it comes to carpet. As part of our selection of carpet brands, we have Carpet One Floor & Home exclusives such as Relax, it’s… Lees®, Tigress®, Resista® SoftStyle and Innovia™ Xtreme Clean. Visit our showroom in Salisbury, MD to see our entire collection of carpeting. How do I Prevent Carpet Fading? Whether your carpets are fading from exposure to sunlight or heavy traffic, it's possible to reverse the early signs of fading and prevent further fading. Different carpet types can have an impact on your home, and carpets can be made up of different fibers that are twisted into different piles. Follow the link below to learn about the different types of carpet available. This Carpet One Floor & Home exclusive carpet brand features three collections that suit the needs of just about every home. From super plush to durable to waterproof, these carpets are made to handle what life throws at them.